Surya's best selling creations have been infused with possibilities as the Caesar collection takes on new life. Designer color combinations including deep browns, charcoal gray, and muted red make these time-honored pieces suitable for any interior. 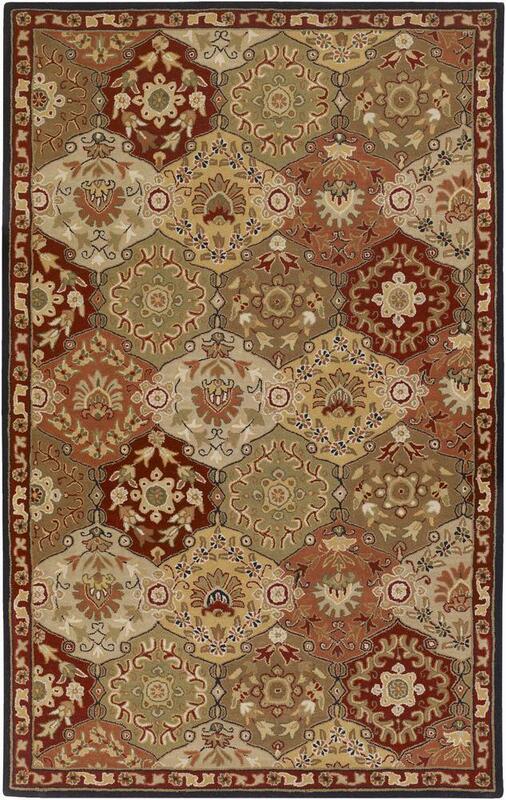 Hand tufted in India of 100% wool, each rug is available in over 20 sizes, and in a variety of styles such as round, square, oval and mansion-sized. The Caesar 5' x 8' by Surya at Miskelly Furniture in the Jackson, Pearl, Madison, Ridgeland, Flowood Mississippi area. Product availability may vary. Contact us for the most current availability on this product. Browse other items in the Caesar collection from Miskelly Furniture in the Jackson, Pearl, Madison, Ridgeland, Flowood Mississippi area.